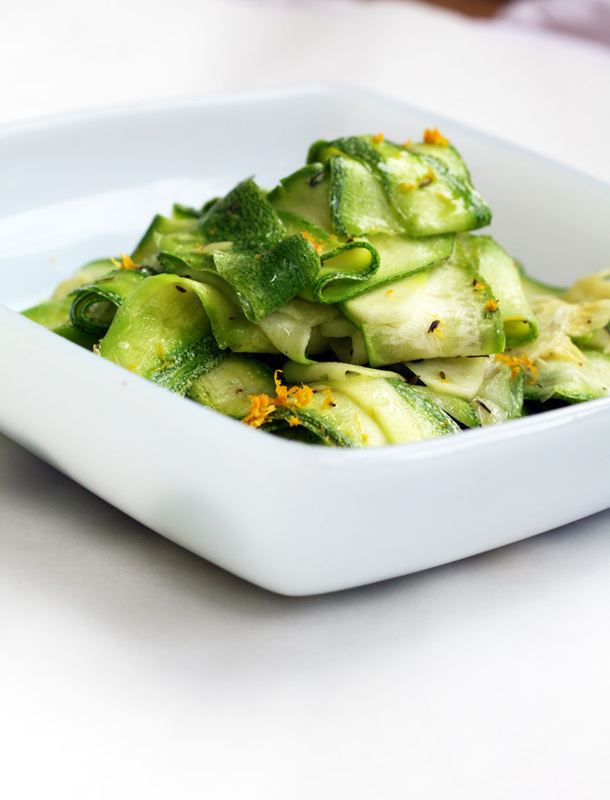 shave the zucchini using a vegetable peeler. make long strips and shave until you reach the heavily seeded part. turn and begin again. in the end, you will have a core. discard. heat olive oil in a skillet. add the whole, but smashed garlic and let it brown. remove the garlic (you are using it just to flavor the oil) and toss in the zucchini. toss continually and allow the zucchini to cook through...this will take about 5-10 minutes. add zest, thyme and lemon juice. taste for seasoning--add salt and pepper to taste.